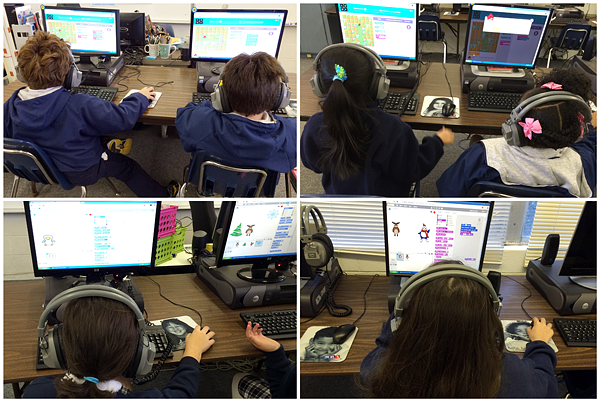 Wow, the last two days of the Hour of Code were a whirlwind with students trying out lots of different coding options! 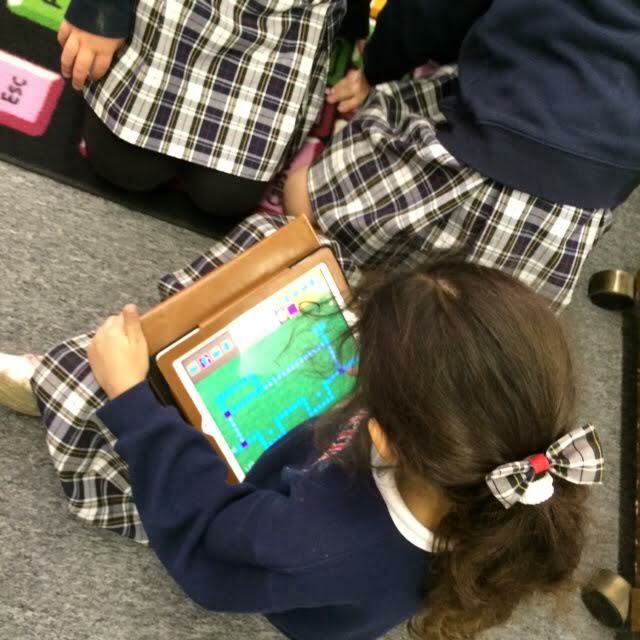 Kindergarten and 1st Grade continued their adventures with the Kodable app and WOW did they do an awesome job. 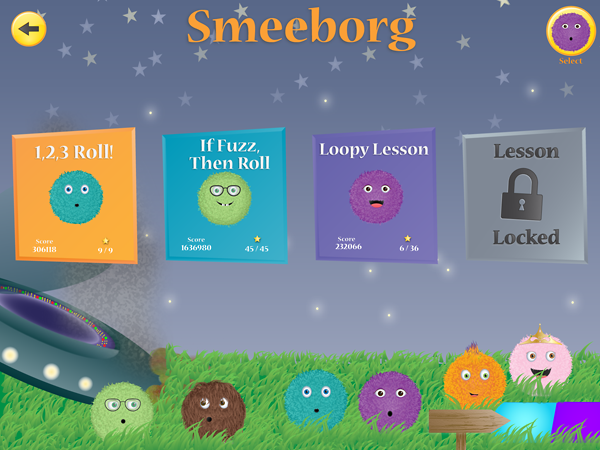 Almost all students finished the If Fuzz Then Roll (If/Then) section of Smeeborg and some students even finished some levels of the Loopy Lesson section. We even had a few older students ask about being able to use iPads and use Kodable. 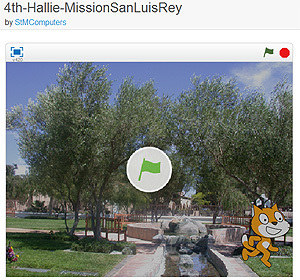 2nd Grade spent the day programming a robot on BotLogic.us. Some of the levels get quite tricky and just when you think you have it the robot ends up one square short of getting home! It was great fun to watch the students try to figure out how to fix the problems they had and those who got it were always eager to help others to get it, too! Have your 2nd Grader show you how it works and try to solve level 8 or level 11. Can you get it on your 1st try? 3rd and 4th grade students continued solving the mazes in the Code.org drag & drop programming option for Hour of Code learning about IF/THEN and repeat loops. As levels got harder, there were some frustrations trying to understand what to do to make it work. After reviewing the videos provided and sometimes with a little hint, students got at least most of the way through all 20 mazes. 5th Grade continued to work on their Interactive Holiday Cards using Scratch. It was fun to watch as sprites began to move and “talk” and spin and make sounds. I’ll be sharing these just as soon as they are complete (next week) so that you can see the results! 7th Grade students continued to work with MIT App Inventor making progress on their Android apps. There were still some issues getting the emulator started which provided some frustrations and a few “bugs” in some apps but progress was made by all. 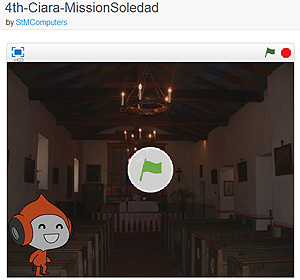 One of the 7th graders even completed all 4 of the apps for Hour of Code! The 7th Grade students will be sharing what they did and their actual apps on their Google Sites next week. App development was also going strong in 8th Grade using TouchDevelop but this time all but one student was using their computer rather than a device. As 8th Graders finished their first app, most went on to create at least one more app and sometimes 2 or 3 more. When they had enough of app development, some of the 8th graders also tackled the mazes in the Code.org drag & drop programming option. 8th Grade will be sharing what they did with the Hour of Code on their Google Sites next week. 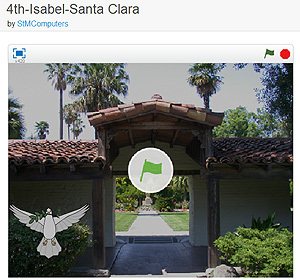 So that’s it for the Hour of Code this year … or is it? Some grades will be continuing some coding next week and some grades will be doing more with coding later this school year so stay tuned! 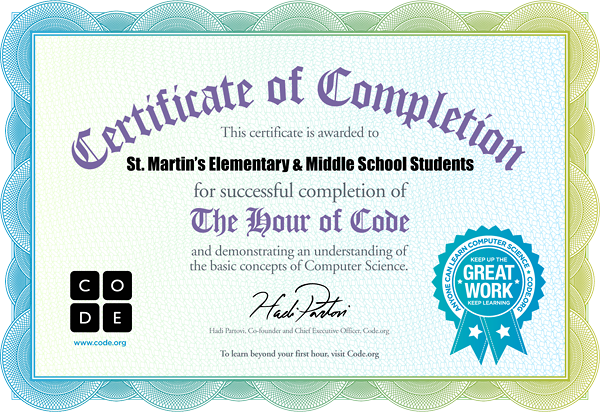 The Hour of Code is a huge worldwide event with over 3.7 million people already participating and over 115 million lines of code written so far and I’m so excited that St. Martin’s is a part of this. Yes, that was President Obama, Dwight Howard, Chris Bosch, Mark Zuckerburg, Shakira, Angela Bassett, Ashton Kucher and more that you saw in that video. Today, it was 2nd Grade, 3rd Grade, 5th Grade & 6th Grade that had a chance to try their hand at some coding and here’s what they have done so far … they’ll have some time later this week and maybe even next week to do some more. 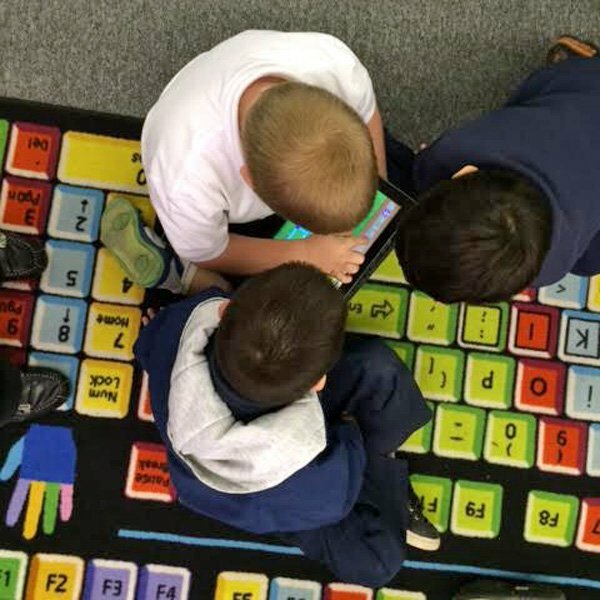 The 2nd graders spent the day programming Mrs. Sedgwick to get through a maze in the Computer Lab and were introduced to BotLogic.us where on Friday they will try to guide a robot through a series of mazes. Some of the 2nd graders had a sneak peek at Hour of Code last week doing some programming with Espresso Coding and Light-bot. After watching the video embedded above, 3rd Grade got right to work on with the Code.org drag & drop programming option for Hour of Code. This requires that students write drag & drop programs to solve a series of mazes. 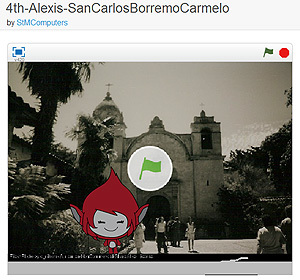 There is video help from people like Mark Zuckerburg and Bill Gates and students can even look under the hood and see the actual code they wrote! Next up, it was 5th Grade’s turn. They also watched the video linked above and then got to work on creating an interactive holiday card using Scratch. 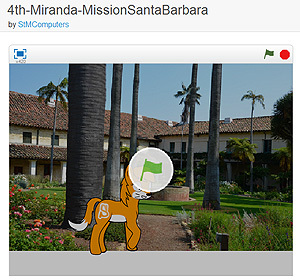 Scratch is a drag and drop visual programming language. I can’t wait to see what their cards end up looking like when they’re done. The last class of the day was 6th Grade. 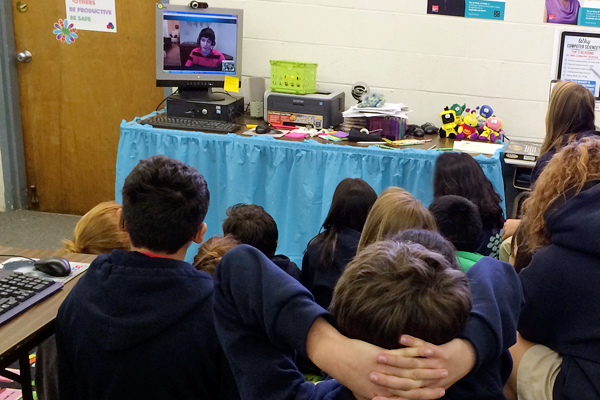 Before they started on their programming adventure all of Middle School came to the lab for a Skype call with a high school app developer, Stephen Oro. 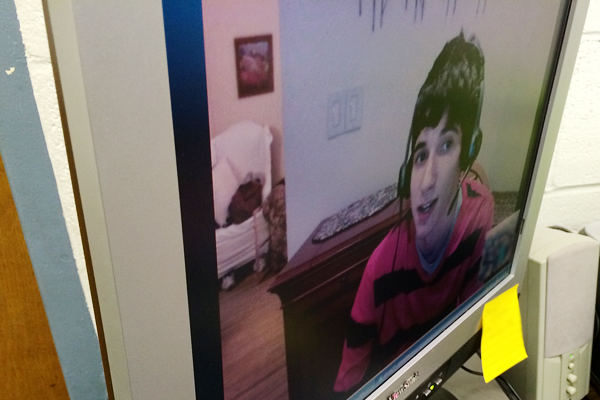 Stephen developed his first app when he was 14 for his high school and currently has his original app and four others in the iTunes App Store. He is currently working more apps including one that will let you program other apps, I’m really excited about this one! A big thank you to Stephen for taking the time to talk to our Middle School students about coding and being an app developer. After the Skype call, 6th Grade started playing with MIT App Inventor which is a free development environment that lets you create apps for Android devices. They didn’t have much time today but will continue working with this on Wednesday and probably into next week also. That’s it for Day 1 – tomorrow it will be 1st Grade, 8th Grade and 7th Grade learning to code.